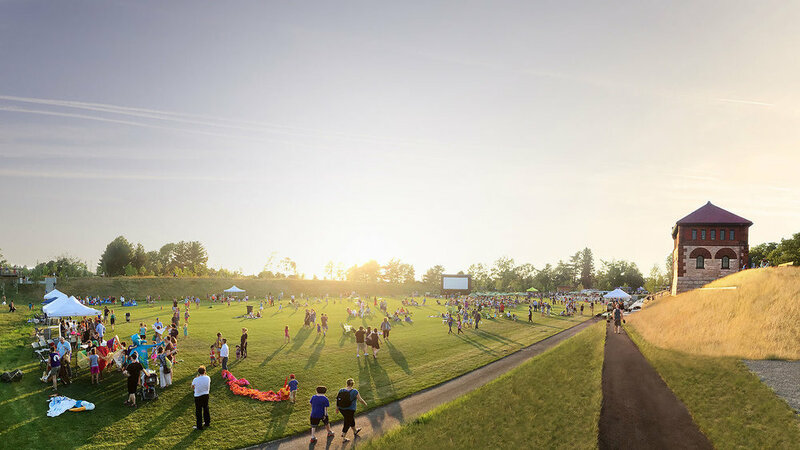 Congressman Joe Kennedy, the Environmental League of Massachusetts, Mass Audubon, The Nature Conservancy and other organizations were at Fisher Hill Reservoir Park last night discussing the importance of protecting our natural spaces for future generations through the Land and Water Conservation Fund (LWCF). The LWCF is set to expire later this year unless Congress acts to fund the program. We are honored he chose this spot - a park we designed and which benefitted from some LWCF dollars - to speak about the importance of LWCF. Learn more about the initiative through the Land and Water Conservation Fund Coalition. 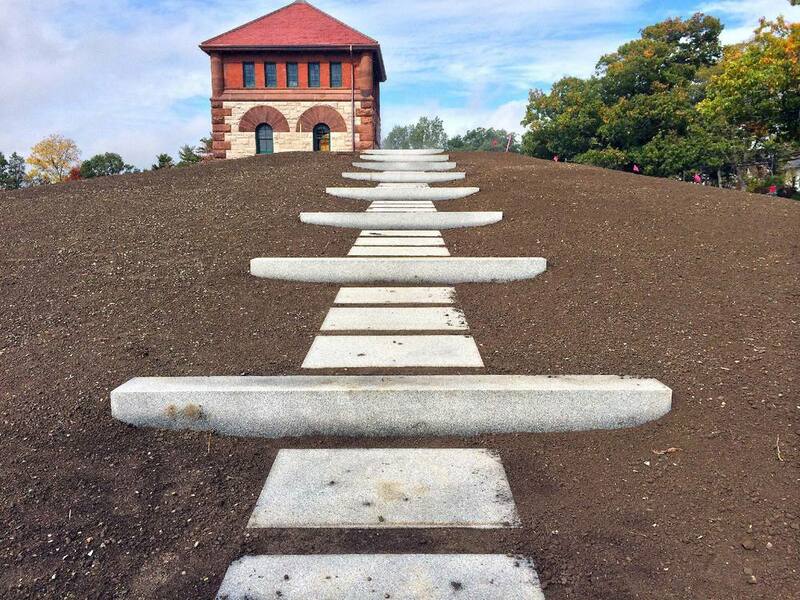 Check out the recent National Trust for Historic Preservation article on Saving Places featuring Fisher Hill Reservoir Park. 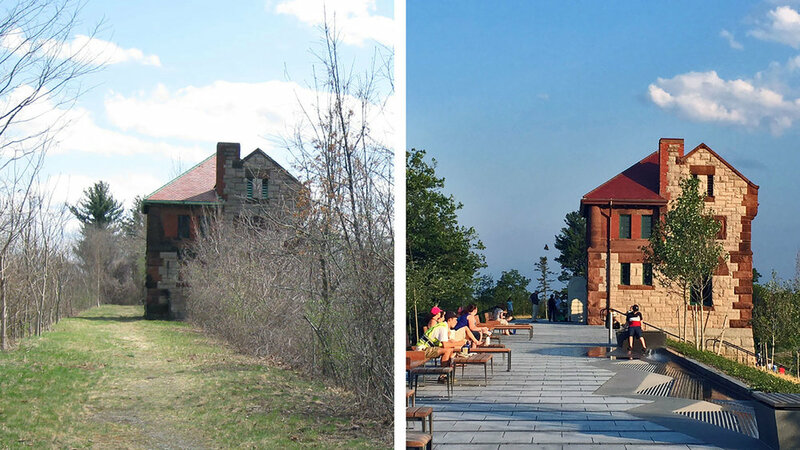 The article describes the work by Touloukian Touloukian that went into preserving the historic gatehouse from studying existing buildings built by the architect of the gatehouse, Arthur Vinal, to the details of matching paint colors and the spacing of muntins. Read the full article here. 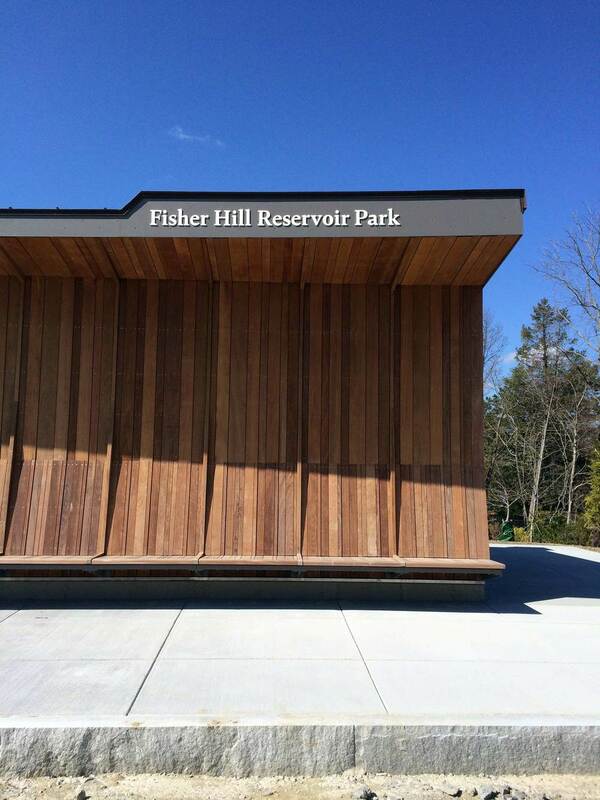 We're excited to share the opening of Fisher Hill Reservoir Park! 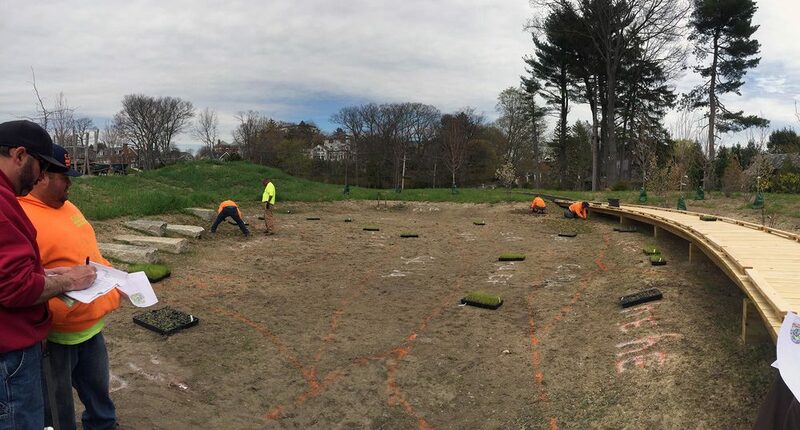 Spring planting is happening at Fisher Hill Reservoir Park in Brookline! 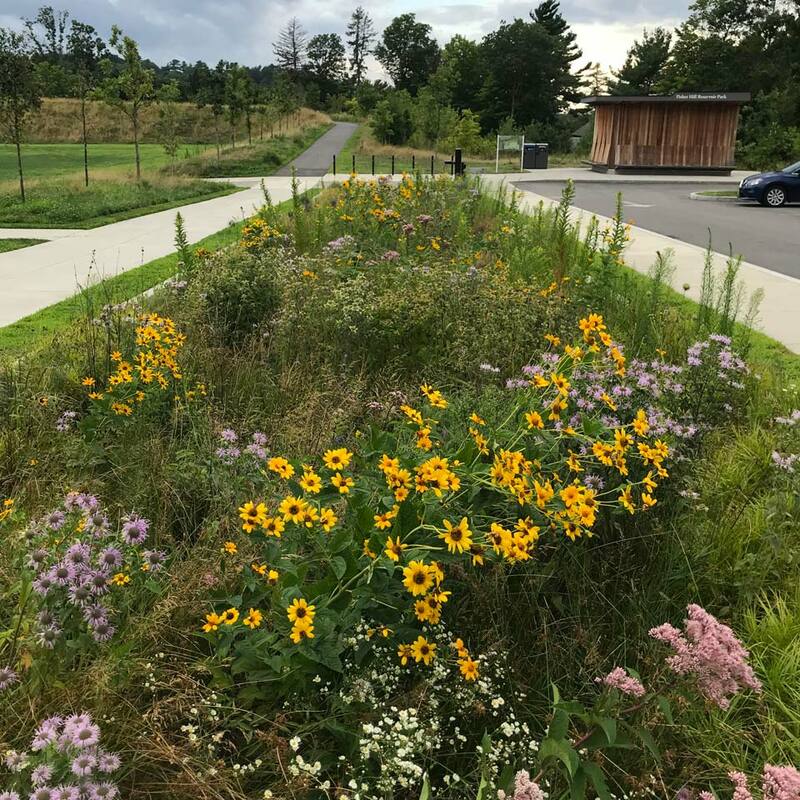 Plugs of a wide mix of perennial grasses and flowering plants are being planted in the wet meadow and the bioswale which edges the parking lot. And, we’re seeing the results of fall planting : a walk around the woodland path reveals early blooming Amelanchier (shad bush) drifting along the back side of the embankment. Furnishings are also being installed on the Promenade. 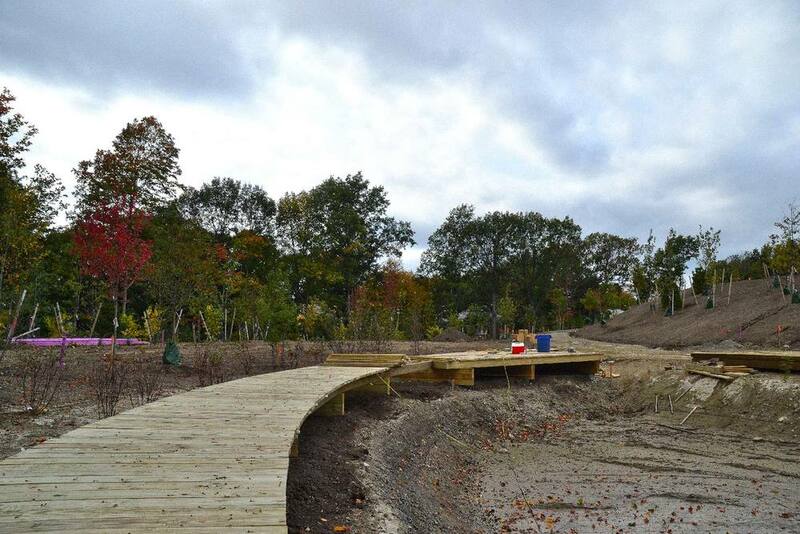 Fisher Hill Reservoir Park is really starting to take shape. 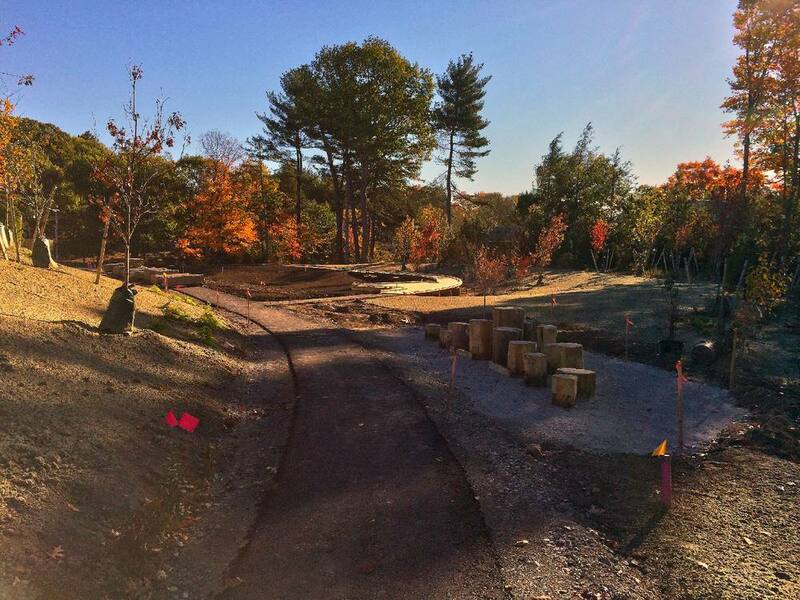 Below are a series of photos from construction over the past month while the foliage was really popping. 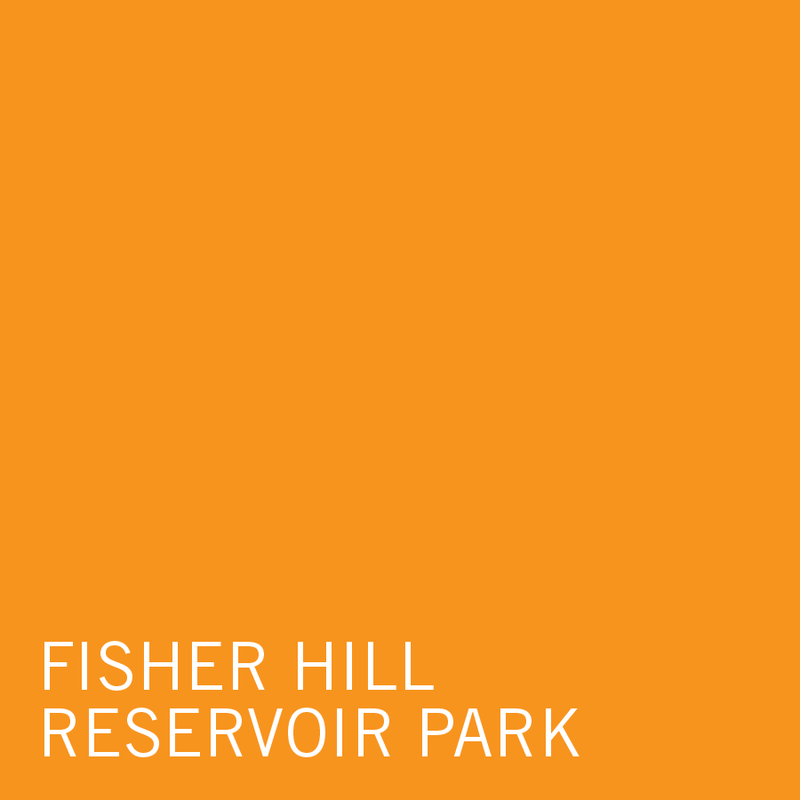 For more information on the Fisher Hill, see our project page. 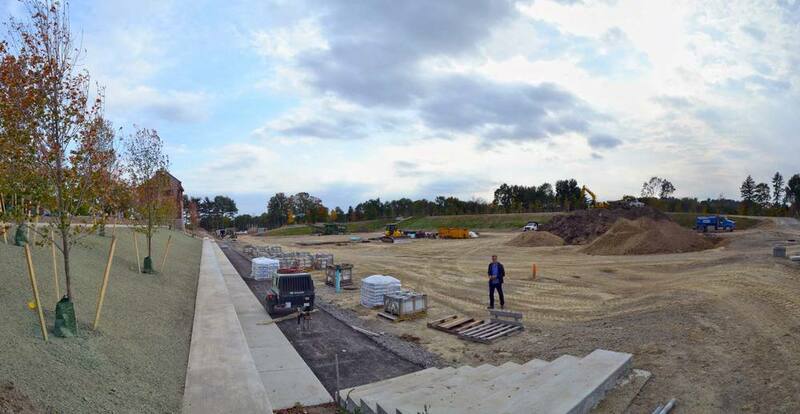 There has been a lot of progress at Fisher Hill this summer. 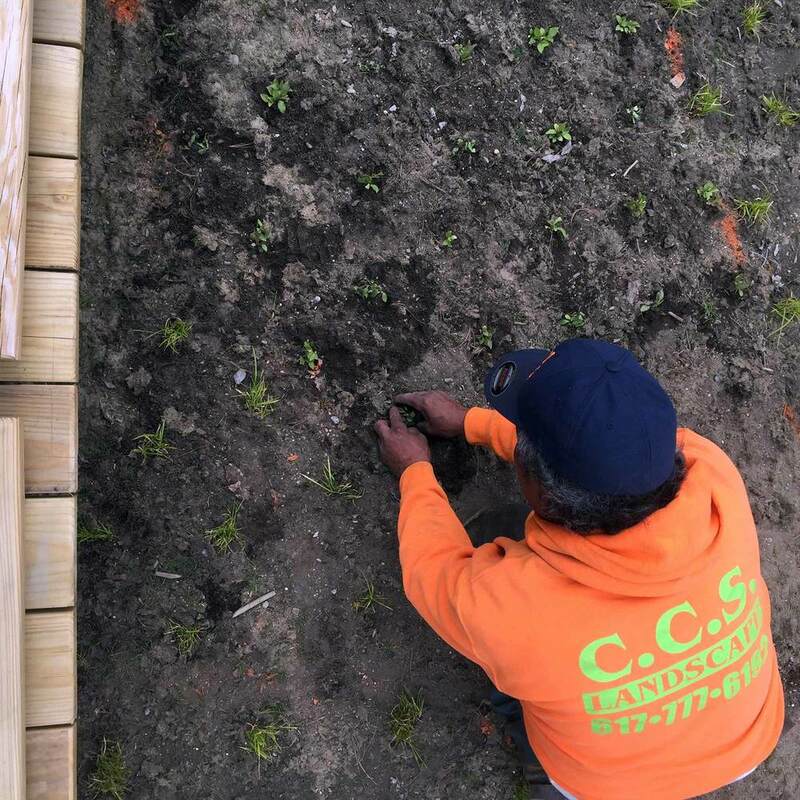 Planting is in full force, and the site work including grading and concrete is coming along nicely. 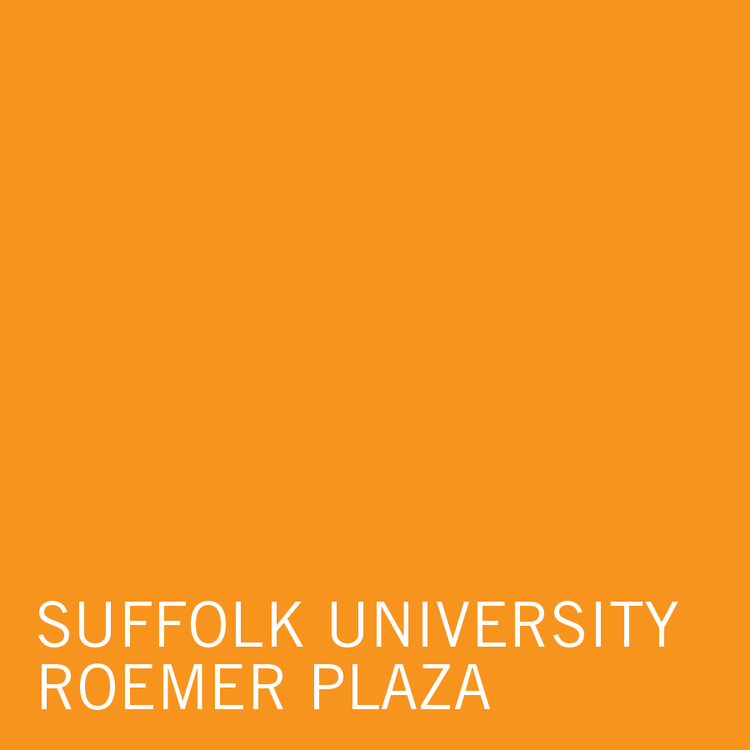 At Roemer Plaza, planting has been completed, concrete work is nearing completion and paving is well under-way. Click to expand the images and for additional info. It has been a busy summer of building. 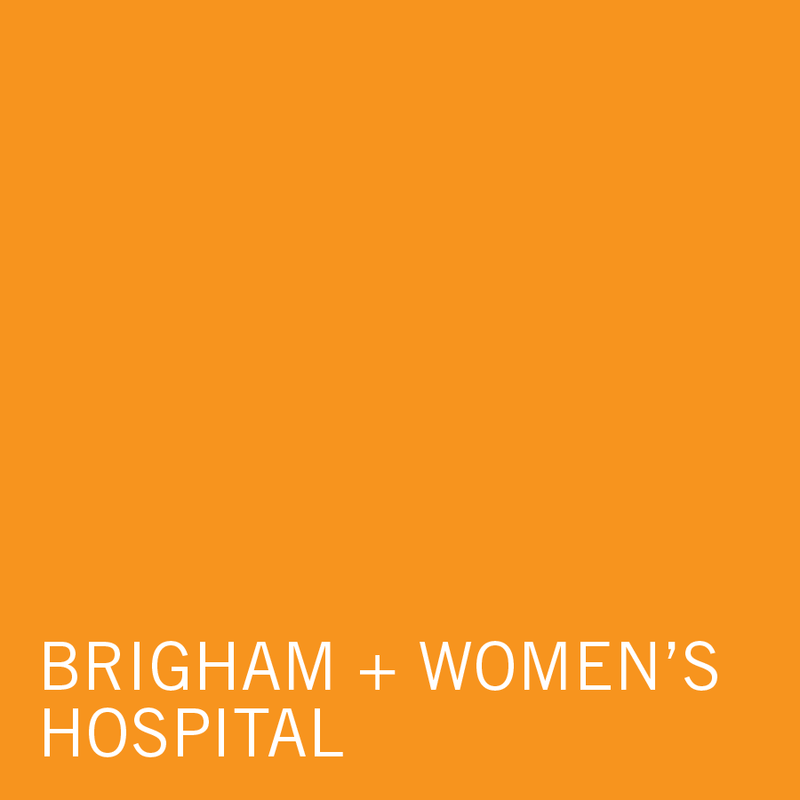 Below are some photos from a few of the projects in various phases of construction. Click to expand the images and for additional info. Tree flagging tape was flying at Fisher Hill on Marathon Monday. The nearly 1500 trees to be planted in the park have started to roll in by the truckload. 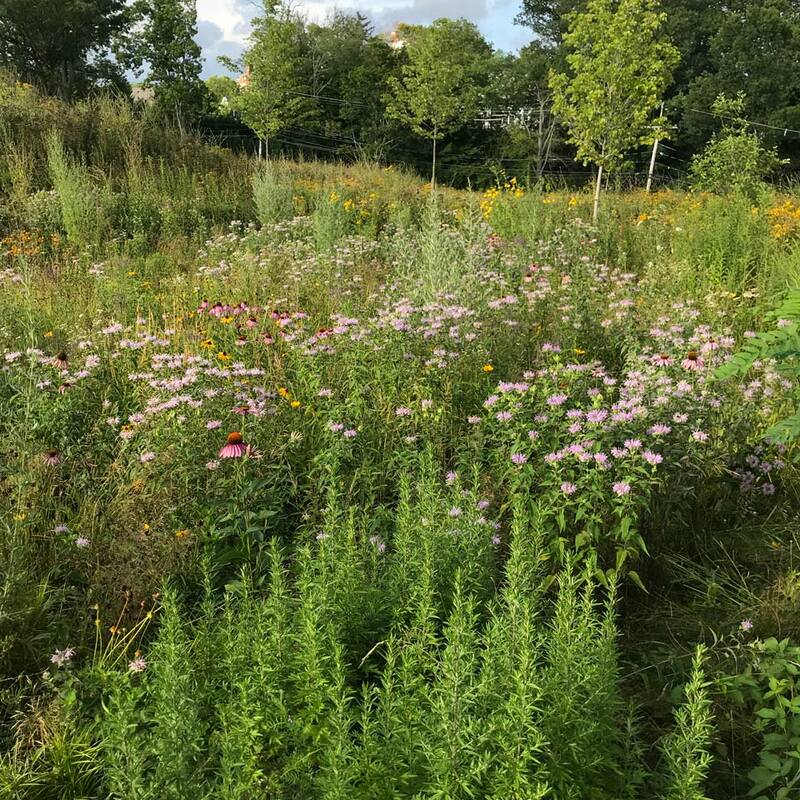 Kaki got this shot of the on-site staging area that’s been set up as we work with the Town and contractor to lay out the plants across the 10 acre site. 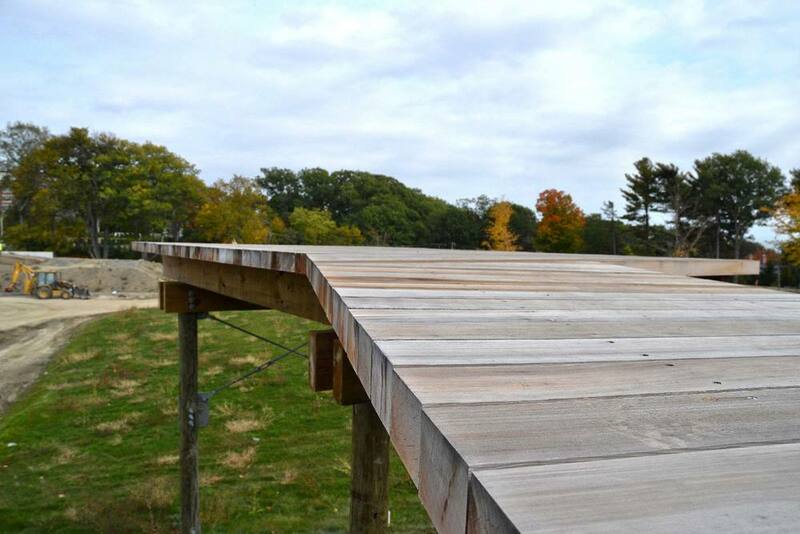 It's hard to imagine a world without a few feet of snow right now, but here are a few photos before we were completely covered, and one after showing the viewing platform under construction. 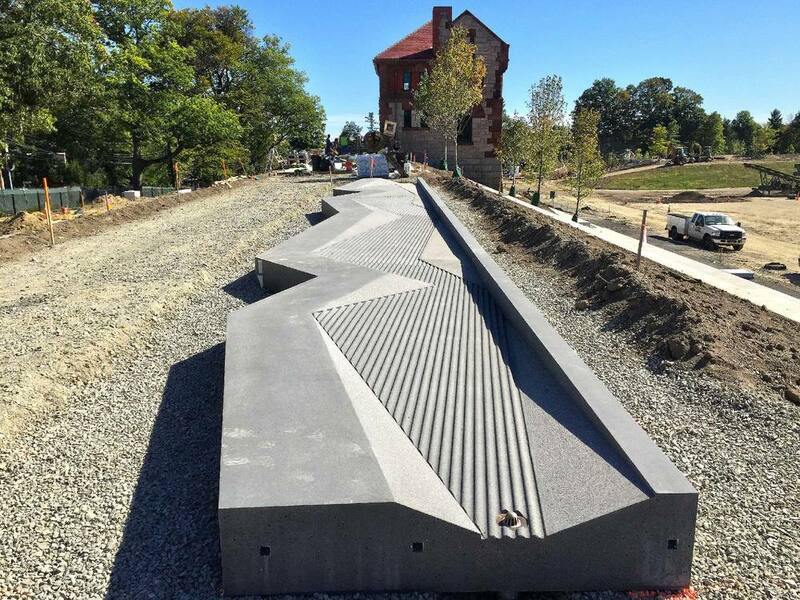 Furthering progress for Fisher Hill Reservoir Park, we took a trip up to Northern Design Precast in Loudon, NH, where they're preparing a mock-up for our 80' precast concrete water feature on the park's promenade. We've used four different surface treatments: light acid etch, medium sandblast, heavy sandblast and a custom corrugation to help guide and channel the water. More info on Fisher Hill Reservoir Park.